Put things in perspective. No matter what, there is always someone doing things much bigger than you are doing. And, there are many people suffering, who would consider you their idol. Sound like a good middle ground? Turn it over to Divine Source. You are here to serve and help others. It is your privilege to do so in your own unique way. Know that you have been given gifts, and exercise them with heartfelt love. Do menial labor. What? Am I serious? You bet. If you think you’re so great, try out a task that pays minimum wage. Chances are, you’ll find out that someone earning very little is very likely working very hard. For all that you do, remember that others are in need. Help them – when you’re in their debt, pay more than necessary and overtip waiters. Remember – if you want to be humble and also empowered, just remember – it’s not all about you. 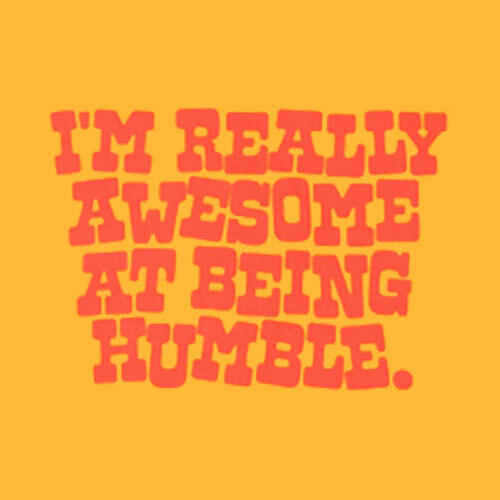 4 Responses to "3 ways to stay humble"
What’s wrong with thinking I’m great?!?! regularly. I’m relatively sure I will be informed many new stuff right here! Good luck for the next!